An original masterpiece that gives lesson and meaning to anyone who loves to read. Perfect for kids who just started reading, ages 5 and above. Below are some of the books Bemmygail’s been involved with as an illustrator. She’s worked with great authors! A young princess swore to save her twin. She must use their ancestral red stone to determine her unique strength, enhance her skills in combat, and defend the kingdom from monsters that were awakened by the power of the evil queen. Beautifully illustrated picture book with a learning aspect. Teach your little one to count from 1 to 10 using colorful pigs. 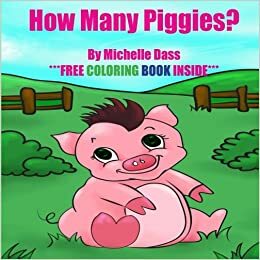 The book also includes a free coloring book to keep him or her entertained. Enjoy! Imogen was an ordinary girl living with Mum and Dad. But not that ordinary because her best friend was a 4-metre-tall dragon called Roari. But as if this was not enough, she was about to meet the children from a land called Undurbedd. This book instantly engages children by having her colorful characters ask humorous questions. The metered, rhyming text encourages children to read along, repeating the questions and answers…. Original story by Karen Chen. A cute and fun story of a beautiful family with cute children. This book will surely help creative freelancers starting out online. I have provided successful tips on how to start, and maintain your work online. I have also interviewed amazing freelance creatives around the world to share their experience. Don’t miss out this opportunity!